Entry level muscle car nostalgia on a budget. When it comes to American cars, nothing tweaks the nostalgia nerve more than old Detroit iron. Cars of the 60s and 70s were built before crash testing and safety legislation had big effects on how a car looked or drove. For enthusiasts, also bring the benefit of mechanical simplicity, although that is balanced by the lack of safety features. There are no airbags in classic muscle cars and the seatbelt technology can often best be described as quaint. Safety is not the issue here though, and we are interested in keeping the muscle car alive and the experience of driving one that has been rescued or protected from the ravages of time and rust. The dream of pulling an old muscle car out of the weeds or from the depths of a scrap yard and returning it to its former glory is a romantic one. The reality is it's guaranteed to be a costly and time-consuming project. But it's not impossible. For many old muscle cars, getting the parts needed isn't a problem as a lot of companies out there offer factory-licensed replacement parts. There’s also a big used market from scrapped cars and the aftermarket is rife with performance parts. We also now have the benefit of a huge and instantly accessible archive of recorded knowledge through websites and forums on how to do just about any job. The biggest caution comes down to the state of the car being brought back to life. Bodywork and fixing frame issues are nearly always the biggest expenses out there. But, a solid frame and reasonable straight bodywork and a garage with a decent set of basic tools mixed with a reasonable budget, some patience, and a good plan can result in something to be proud of. Something to enjoy driving, and something other people will enjoy seeing being driven on the road. If you’ve been considering getting into muscle cars and the muscle community, these are our top picks of cars to look out for. 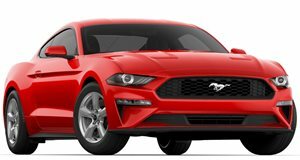 Before we start off though, let's nip comment section arguments in the bud right here and clarify that pony cars are a sub-section of muscle cars, and do come under the muscle car umbrella. The bottom line is that not all muscle cars are pony cars, but all pony cars are muscle cars. For the Chevelle, 1970 was a big refresh year and at the beginning of the 70s, Chevrolet . Around one-tenth of those were the SS models and only around 25,000 were packed with the highly coveted 454 V8 under the hood. That means there’s still a relatively plentiful supply of base models still around. For those with a bigger budget, the SS models are still out there but as a first step into the world of muscle cars any Chevelle looks good and once restored, runs straight and true. When it comes to the cheaper side of getting into muscle cars, the fourth-generation as there’s plenty of them around and they’re not expensive. For low money, they can be picked up with the base 170 cubic-inch slant-six engine but the range of engines goes all the way up to the 440 big-block V8. The Dart is one of those cars that can be built to reflect whatever the builder wants and is one of the cheapest entry points into muscle car ownership. Let’s face it, higher performance Mustangs from the early 1970s are big money now. However, and doesn’t currently command crazy prices. They can also be found with legendary engines such as the 302, 351, and the 429 cubic-inch V8 that have big aftermarket support for hotting up. The Gran Torino can be had for surprisingly low money, even fully restored already, and a great excuse for pulling out a Clint Eastwood "Get off my lawn,” impression. The is easily the most aggressive looking iteration of the bigger and more luxury-based cousin of the Mustang. They’re cheap compared to Mustangs and the aftermarket is very healthy. If you’re patient and budget allows, they can even be found with Ford’s 390 cubic-inch V8. A little more modern, but due to the current wave of nostalgia for the 80s and 90s mixed with the middle-aged finding themselves with some disposable income, prices are rising. The GNX was only around for 1987, but its turbocharged V6 pushed 300 horsepower and an eyebrow-raising 420 lb-ft of torque. 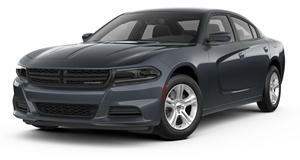 The reason both are worth mentioning here is because and they are on the G-Body platform shared by the Chevy Monte Carlo, Oldsmobile Cutlass, and Pontiac Grand Prix. That means the parts are still around and the aftermarket is strong. While the Fox Body Mustang is also , there’s plenty of them out there. The Fox Body platform also has one of the healthiest markets for aftermarket and the platform is infinitely flexible whether you want cheap speed or to build a track monster or road rocket. For a simple restoration, it’s also one of the most inexpensive options out there mechanically. When Oldsmobile was around, the . That means there’s still plenty to be found. It’s on GM’s A-Body platform and easy to work on and parts are plentiful so if you can find a 455 cubic-inch V8 to breathe life back into, you can build an aggressive looking tire-roaster on a reasonable budget. If you're not all about Ford, this is the antidote to the Mustang. The first generation of is not going to be the cheapest entry to Detroit's finest, but parts availability and aftermarket support are up there with anything else on this list. Find one without an engine, and you have your pick in the classifieds of small-block Chevy V8s and their potential to unlock. The price of restored GTOs reflect their status as the first of the full-on red-blooded muscle cars. For , this is not going to be the cheapest car on the list but new parts are easy to obtain even though you’ll pay the premium. On the other hand, you will turn heads and enjoy driving the car that ruled the traffic lights and drag strips in the mid to late 60s. 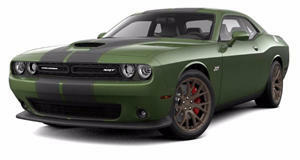 Both the Barracuda and Challenger are E-Body platform muscle cars designed to take the biggest engines possible, including the legendary Hemi V8. Mint condition examples go for huge money but basket cases are still around. For a restoration, both cars share a lot of the same mechanical components although the Challenger is a longer car and they don't share body panels. Some parts can be hard to get hold of, but the common ones are plentiful and both cars are worth the money and effort if you want to turn heads. After its redesign, the Nova sold very well despite the Camaro stealing the majority of headlines. 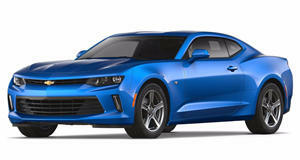 It’s muscular, compact, and makes for a great entry into muscle cars and is still well appreciated. Find an SS trimmed model or a 396 big-block V8 to drop in a base model and you have with a an extensive aftermarket to back you up. The first and second generation Chargers became the definitive muscle car to many and became an icon through TV and movies. There’s a , but everything is available to bring one back to life if you can find a roller at the right price. The engine range is large, so picking something up to drop under the hood should be an easy problem to solve for something that’s been sitting in a barn waiting for someone to breath new life into it. Inevitably and finally, we have the Mustang. 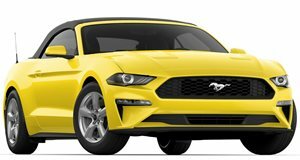 It’s the pony car that started off the muscle car trend and , there were over 2.5 million sold and most were in more vanilla specs. That means there are still plenty around to be restored as a period correct daily driver or something sporty or outright blindingly fast. It’s hard to understate how well supported the first generation Mustang is still. You can buy exact pattern replica body parts and interiors as well as just about every other replacement part needed. Then there's the enormous aftermarket to tap into for upgrades. A decent frame is all you need to get started if you have the budget, or you can look around for a basket case and go to town. Even rough and ready daily drivers aren’t too expensive to get into and tool around in as you bring it up to scratch.